The young Lyon midfielder has tied himself to the seven-time champions of France until 30 June 2020. 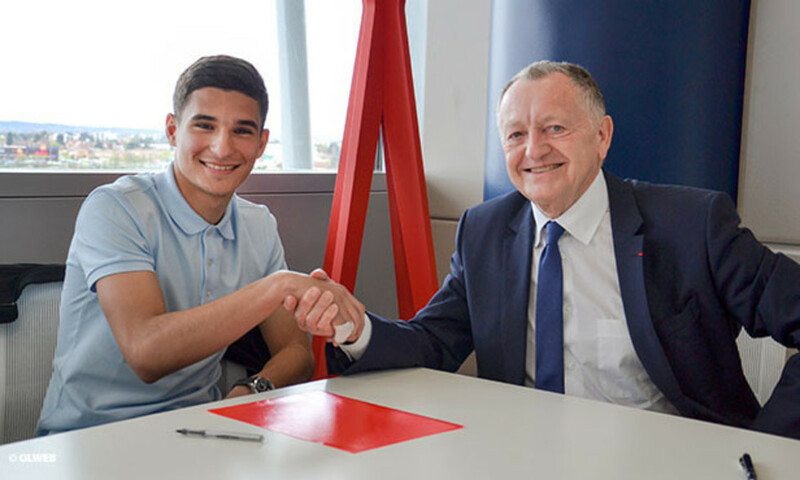 Houssem Aouar has just extended his contract with Olympique Lyonnais. The 18-year-old midfielder has signed up for an additional season, with his contract now set to expire on 30 June 2020. This extension comes six months after he signed his very first professional contract. The player comes from the class of '98 and is in his eighth season with Lyon. He previously played with Athletic Club de Villeurbanne. With OL, Aouar has won a French title, with the U17s in 2014, and played in the final of last season's Youth League against PSG (1-2). This season, he has often trained with the professional squad and has made many appearances in the Youth League, where he has scored three goals in six matches away to FC Sevilla, Juventus and Dinamo Zagreb.